The Fuji GFX 50S - what is all the fuss about? I was lucky enough to be at Photokina last week to experience all the sights and sounds of a photographic industry in a considerable state of flux (something I will be talking about in detail in my next post). Of all the brands which made announcements there was one which stood out head and shoulders above the rest. Fuji and its unveiling of the GFX 50S was nothing short of a show stopper. Before this moment, Fujifilm and its highly regarded ‘X’ series cameras have sported nothing bigger than an APS-C sensor. Fuji has a track record in medium format (MF) film cameras in the shape of the excellent GW690 and the badge engineered Fuji GX645AF, which is actually a Hasselblad ‘H’ bearing the Fuji name. So they had the MF heritage but did not take the big, bold step of actually doing the deed and making a living, breathing (well it is a Fuji!) digital medium format camera until now. And I was there to witness the big reveal. Even in pre-production form it has already been very well received. Why? Well, like I said, the photographic industry is in a state of flux. Most of the big name players have produced cameras which are perfectly workable but are a little erm…dull. Step forward Canon with the M5; and Nikon with the KeyMission 360° camera which does look very cool, but I’m not sure how many stills-shooters (apart from me) who will buy it. This left the journalists and bloggers just itching for something that excited. Fujifilm did not disappoint. So what is the GFX 50S like? Fuji brought along not just mock ups, but a series of pre-production protoypes so that we could really get a feel for the product. Classy. The first thing to strike you on picking it up was it’s weight (or should I say lack of it): much, much lighter than a Nikon D801; significantly lighter than a Canon 5D Mk3. It is in fact very similar in weight to the lightweight Canon 6D. The shutter was super quiet, and if you have some familiarity with a Fuji X series camera you could use it straight away. The Fujifilm GFX 50S felt and functioned much like a scaled up Fuji XT-2, and even though it was a pre-production version it felt very well resolved. The lenses are very nicely made and felt very well engineered too. Why is a digital MF camera so important? OK, so the GFX 50S is a promising new MF camera. Why does any of this matter? Medium format gives images a look and a feel all of their own: a step above a 35mm sensor with the sensor in the Fuji being 70% bigger than a full frame 35mm sensor. 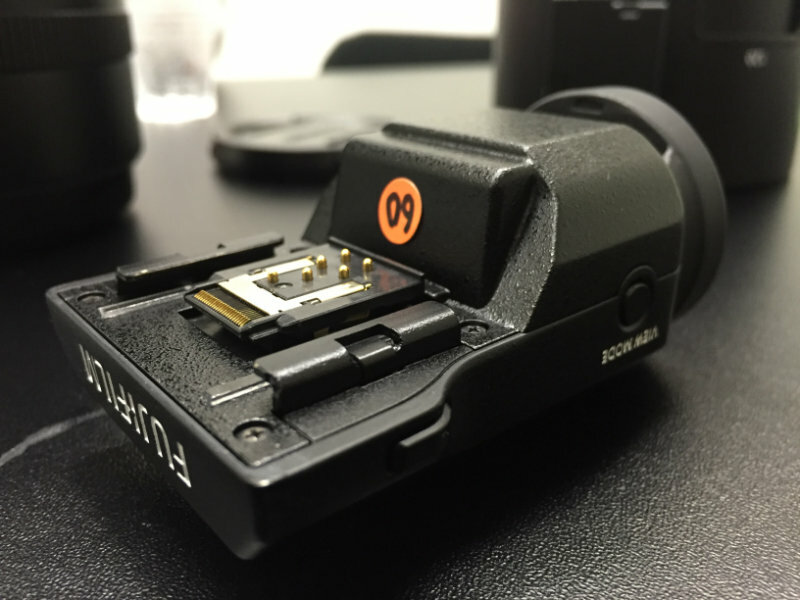 Even with the advent of lower cost CMOS sensors, the sensors still represent a significant cost in the production of a camera. This makes MF cameras sometimes exotically expensive. My first Phase One P25 system cost me the same as a nearly-new Porsche Boxter. Gulp. Fujifilm have gone on record saying that the camera will cost less than $10k (just how much less remains to be seen). So this camera, while not quite being a MF camera for the masses, will be affordable. This will put MF quality in the hands of many, many serious shooters who could not previously afford a digital medium format camera. This is highly significant in itself but I believe Fujifilm have achieved something equally significant. Usability. Focusing a digital MF camera with an optical viewfinder - even with auto focus - can be very, very challenging indeed. In my many years of shooting predominately with MF cameras, getting shots 95% sharp is straightforward; but that last 5% of sharpness is elusive to say the very least. When you do achieve 100% sharpness it is, as another pro MF user once said: ’where the angels sing’. To get 100% sharpness I have often resorted to shooting tethered which is not always convenient. Because the Fujifilm GFX is a mirrorless camera it means you can focus it with remarkable accuracy even at 100% magnification. This ensures the image is perfectly sharp (further helped with by far the best EVF I have ever used, even in pre-production form!). For the short period of time I had the GFX camera in my hands I was hitting 100% sharpness with ease. In fact, during my mind dump after handling the GFX, ‘ease’ was a word which kept springing to mind with the camera as a whole. When relative newcomers to photography have asked me what I think to them ‘graduating’ to MF I have always been positive, but added that they would need to spend some time familiarising themselves with digital MF before expecting to find the ‘sweet spot’. It is not just newcomers who can find the transition challenging. I know a couple of highly respected and well known pro shooters with many years experience under their belts who have tried and failed to come to terms with optical viewfinder MF systems. This may be for reasons of fighting to get critical focus, or becoming frustrated at the quirks of systems which can sometimes feel like a hindrance in critical situations. The best analogy I have come up with to compare optical viewfinder (traditional) medium format cameras with the new wave mirrorless Fuji GFX has been an automotive one. Traditional MF cameras are a little like a Ferrari F40 - capable of great performance in the right hands and punishing in the hands of the inexperienced. I suspect the car most like a Fuji GFX would be the Nissan Skyline GTR: not immediately as exotic as a Ferrari but a car that anyone can extract incredible performance from with ease. OK, the GFX cameras I handled were pre-production and there are some months to go before we shall know if it lives up to the considerable promise it showed at Photokina. But over the years, I have been fortunate enough to have used quite a few pre-production cameras and this one felt the most ‘right’ even at this early stage. As I left Photokina I passed by the Fujifilm stand and I recognised someone I knew: an employee of one of the current manufacturers of MF cameras, staring somewhat wistfully (I thought) at the GFX cameras fitted with just about every type of viewing accessory known to man kind (angle finders, detachable viewfinders, and the wonderful XT-2esque articulated rear LCD in portrait mode…). 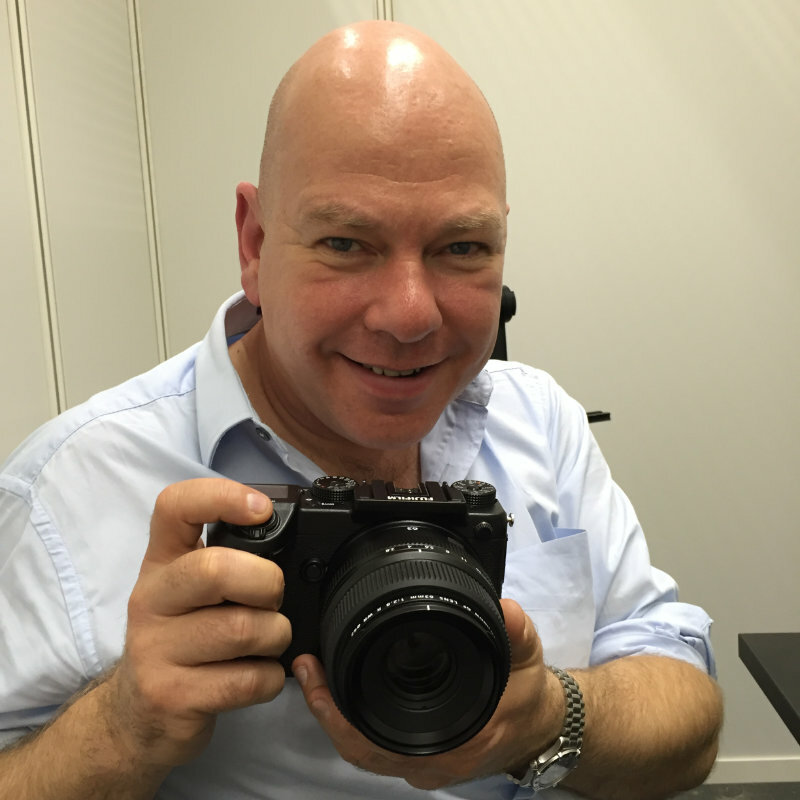 ‘What do you think of the Fuji GFX?’ I asked. ‘Its OK, but it lacks versatility’. I raised an eyebrow and smiled. As I drove home I was already cooking up some quite ambitious shoots which simply would not have been possible with a camera from the ‘old guard’. Now, that just says it all, don’t you think? Older PostWhat does virtual reality mean for the future of marketing?